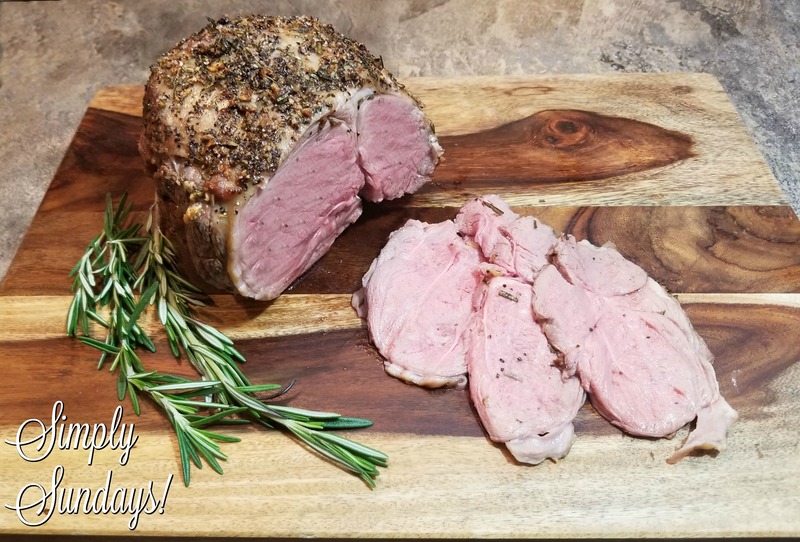 Roast Leg of Lamb – Simply Sundays! I promise you this will make a delicious tasting and good looking gravy! Slice thinly and serve with some delicious gravy! I agree, roast one lamb leg and make everyone happy! Such a delightful way to celebrate a special day. And I really like that you are using rosemary to give this lamb some incredible flavor – something I prefer doing, too! It’s so great that you show this step by step because I’m sure lamb is intimidating to some people! What a great recipe. Lamb is one of my favorite proteins and yours is so simple yet to elegant and I am sure would taste so delicious especially with Easter just around the corner! I love the simplicity of this sophisticated looking leg of lamb. Definitely a dish to make this Easter. Lamb is a must on my Easter table and this recipe looks perfect. Love it, thanks for sharing ! Thank you Ramona! Have a Happy Easter!